I have got the 6mm-204 up & running. It goes surprising well, I have been using Norma brass for developing loads. 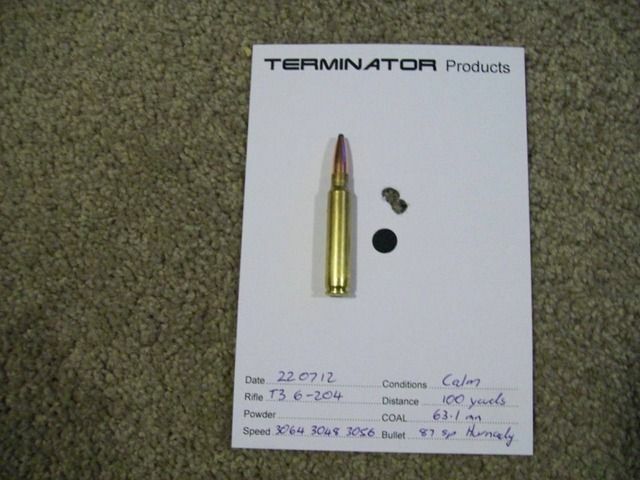 The 87 SP Hornady go around 3050 fps. I haven't finished loads with the 80 GMX hornady yet. With the 87s in some of the groups it has shown single digit ES, not important at all with a calibre like this, but interesting all the same. 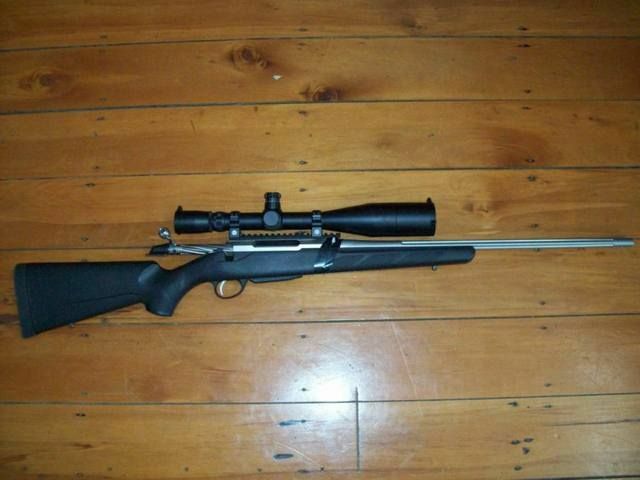 This would make an excellent suppressed rifle. Have you lost the front action screw? Kiwi Greg, madjon_ and R93 like this. Its just tape to try & secure the strain gage for the pressure testing gear a bit better. What's the go with the case, the neck is shitloads wider than the projectile? Yep it looks funny in that pic, it is a loaded round that I hadn't fired, optical illusion ??? Impressive! How far off 243 performance is that? I'm not sure it has been so long since I mucked around with a 243, but it can't be that far behind with 87s at 3050, can't imagine there is much more than 200-250fps in it ? Just had a look on the net & it might not even be that much with sensible loads ? A nice comfortable load with 95 grain Noslers in a 243 is 3000fps. So your 87 grainers @ 3050 proves quite an efficient chambering ! This includes fluted bolt, fluted TF Premium Target barrel, alloy rail, load development, 100 Norma brass, lightened trigger & all freight. It's a pity some wouldn't work a bit of overtime so you don't have to wait 4 weeks for a trigger job to be done. Thats a Bugger Tony, maybe you need to find another gunsmith ?